Working for Donald Trump for 2005 was an amazing experience and I learned a great deal about real estate and branding. I decided to leave the Trump Organization and pursue my own objectives – Building Companies. I was the President of ProElite.com for almost two years and our team built the largest fight portal on the web while partnering with CBS, Showtime, Mark Burnett (again! ), and many of the great MMA brands in existence. I am now the CEO and a board member for RotoHog.com. We build the best fantasy sports platforms in the world. Our investors include Allen & Co, Sports Capital Partners Worldwide, Mission Ventures and DFJ Dragon – China Fund. Fastpoint Games is a leading developer of live, data-drive games that enable clients to engage, reward and monetize their users. Fastpoint Games leverages an award-winning, proprietary cloud-based platform to deliver clients customized games and integrated gaming solutions across any channel and around any set of structured data. The games-as-a-service model enables marketers, in virtually any industry, to offer their users an engaging, quality game experience quickly, without taxing their company’s resources. Fastpoint Games is privately held, and based in Los Angeles, CA. Investors include Allen & Co, Mission Ventures, DFJ Dragon and Sports Capital Partners Worldwide. A West Point classmate of mine and I founded American Family Protection (AFP) in order to help Americans prepare for, and react to, terrorist attacks. 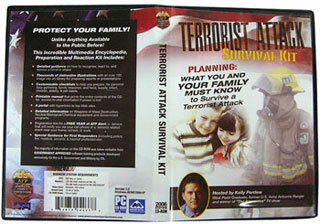 AFP repackaged US Government-approved information and training about Terrorism and Weapons of Mass Destruction (WMD) that is provided to our uniformed services and US Government employees in the US and abroad into a single digital interactive CD that can be easily accessed, understood, and used by every American. The CD includes descriptions and footage of every WMD, a clip-art library for student use in reports; checklists with guidance for supplies, household security, defensive air travel and hostage defense; a detailed interactive reference library of prominent Department of Defense detection equipment and activity; forms to record all personal data and an Emergency Action Plan and a hyperlink index to jump to key WMD sites directly from the CD. We are also offering a notification service that will notify you of a terrorist event near your home, school, or work that should be operational NLT November 2006. Please see our site (www.terroristattackcd.com) for more details. Betterworks allows business owners to create rewarding work environments quickly, easily and affordably. If you’re a business owner or employee interested in bringing BetterWorks to your company please sign up now for early access. GatherGreen is a free daily email with recommendations for the best and most authentic health and sustainability-oriented foods, services clothing, classes, gadgets, and experiences in Los Angeles. If you want to learn how you can change the world one small step at a time and save up to 90% then you might want to take the first step right now and subscribe to receive our daily green deal. That is, if you care at all about baby seals, puppies, climate change, saving money, and having fun. Klout is the standard for influence. We believe that every individual who creates content has influence. Our goal is to accurately measure that influence and provide context around who a person influences and the specific topics they are most influential on. Klout tracks the impact of your opinions, links and recommendations across your social graph. We collect data about the content you create, how people interact with that content and the size and composition of your network. From there, we analyze the data to find indicators of influence and then provide you with innovative tools to interact with and interpret the data. The Klout Score is the influence metric. It measures overall influence through 25 variables broken into three categories; True Reach, Amplification Score and Network Score. Klout is a privately held company in San Francisco, California. Parentella is a Private Parent Teacher Social Network. Our mission is to engage parents in their kids’ education by enabling conversations among parents and teachers.